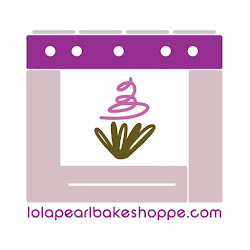 Lola Pearl Bake Shoppe: Watermelon Lemonade Recipe! Watermelon lemonade is a great way to wow your friends at your next gathering. You will find that it takes many bowls to keep the cleanup easy, but as long as you keep your steps together, you will be very pleased with the results! Start by cutting your watermelon into food processor-friendly chunks (sans rind). You will want to start with about half of the watermelon, and work from there. Half will give you enough for about 6 glasses of lemonade (when combined with the water). Strain the watermelon puree into a bowl so all that remains is the pink juice. Add the juice of 8 lemons and 1/4 cup of lemon zest. Add 3-4 cups of water. Stir in 2 tablespoons of honey until completely dissolved. Add more water to taste. Behind the Apron RECIPE: Heat Wave Cool Down! Perfect 4th of July pass around treat! Now that's an herb garden! !